A scaffold can be useful for a wide range of tasks and projects in the construction industry, but it is crucial that it is used properly. Your platform must be assembled properly, there must be systems in place to prevent injuries, and only trained individuals should be allowed on the scaffolding rental. Read on for a closer look at scaffolds and the construction industry. 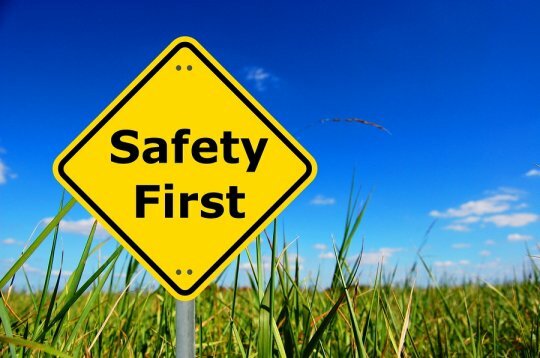 When it comes to scaffolding rentals and the construction industry, safety is absolutely essential. One of the most basic aspects of scaffolding safety is the inspection of the work platform. Only scaffolds that are assembled properly and inspected thoroughly should be used in any construction project. In order to determine whether a platform is fit for workers’ use or not, a competent individual must perform the inspection. In this case, a competent individual is one who is experienced in the industry and knows what kinds of problems to look for. Scaffolding is typically used when a project’s workspace is well above ground level. The higher up your workspace, however, the more dangerous a fall could be. This is why construction scaffolding must include fall protection components that reduce the possibility of injury or death due to falling off of a work platform. Fall protection systems vary based on a few different factors, like the type of scaffold being used. Most types of scaffold require either personal fall arrest systems or a guardrail system to keep workers safe. Just as platform inspection will be left up to a competent worker, a qualified individual must provide training as well. If your job includes assembling, disassembling, or maintaining scaffolding, you must learn about the hazards and procedures during training. Those who work on the platforms must be trained to minimize hazards when on scaffolding. If you would like to learn more about scaffolds and the construction industry, contact Scaffold Resource or visit our website. Our team is dedicated to providing high quality scaffolding rental serving Washington, D.C. Feel free to stop in and see us or call us at (301) 924-7223 to learn more about our services. A shoring system near Washington, D.C. is used to provide structural support to a load bearing wall or other building element that is under construction. When you are working with a formwork shoring system, it is highly important to follow a few essential safety strategies. In the event that your shoring fails, serious accident or injury could occur. To ensure that your shoring is as safe as possible, it is important to make sure that you use lumber that is graded for the project at hand. In addition, your formwork should always be treated with limewater or whitewash for additional support. Finally, adjustment screws can be used to safely and accurately position the shoring around the form. The team at Scaffold Resource is ready to assist you with your upcoming shoring erection. Our shoring services and scaffold rentals will be tailored specifically to the needs of your project. For more information about some of the shoring systems that are available for your next project, be sure to check out our website or call (301) 924-7223. Scaffolding rental is essential for many types of construction projects . 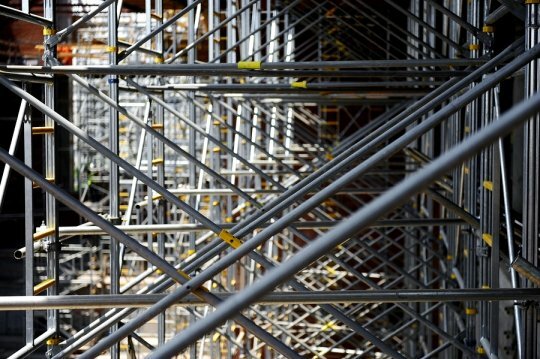 Whether you are updating the façade of an existing building or embarking on a brand new building construction project, chances are that a scaffold rental will be an important part of your construction plan. With scaffold rentals, you can rest assured that your scaffold installation meets strict safety regulations. Read on for a closer look at scaffold safety standards. Perhaps one of the most important elements of scaffold safety is making sure that all scaffolding equipment is properly maintained. Before a scaffold is erected at a construction site, all of its vital elements must be inspected for signs of wear. Scaffolding that has been damaged or weakened in any way must not be allowed on a construction site. Additionally, any maintenance issues should be addressed as soon as they are identified. When you are renting a scaffold, it is important to make sure that your system has been created from construction grade lumber. OSHA requirements state that all scaffolding systems must be erected from at least 1,500 feet of construction grade lumber that meets the American Lumber Standards. Quality lumber will ensure that the scaffold is structurally sound. Any worker who is performing tasks on or around a scaffold must wear the proper protective equipment at all times. For example, each worker must wear a hard hat and a safety vest when they are on site. In addition, the scaffold system must also offer proper overhead protection for all workers. When you work with Scaffold Resource for your next scaffolding rental, your scaffolding rental near Washington, D.C. will meet all of the safety requirements that are outlined by OSHA. 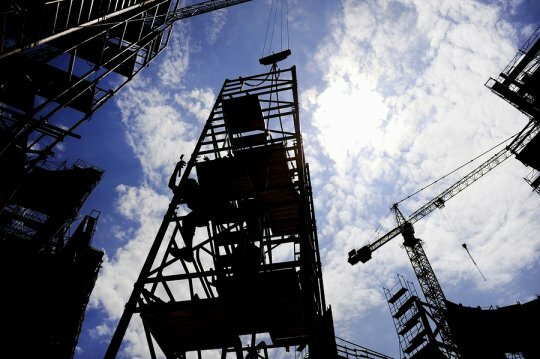 Our team of experts can help you rent or buy scaffold equipment that is right for your project. Give us a call at (301) 924-7223 to schedule your scaffold rental today. Scaffolds are an essential part of many construction projects. When you are preparing for a scaffold rental near Washington, D.C., it is important to start by clearly marking off the site where the scaffold will be installed. Next, with the help of your scaffold resource technicians, you will want to make sure that your scaffold is squared off to the side of the building. Finally, sole plates are leveled off and used to create a firm and safe foundation. For a closer look at how to use scaffolds, check out this video from Sprout Labs. At Scaffold Resource in Washington D.C., we are thrilled to provide a variety of construction scaffolding services. Whether you are in need of shoring or scaffolding , we will help you design the right system for your needs. To hear more about our highly rated scaffold resource services, call us at (301) 924-7223.